Soundcraft Vi4 offers access to 96 inputs on 24 faders, with a total of 35 output busses available for use as masters, groups, auxes or matrices. 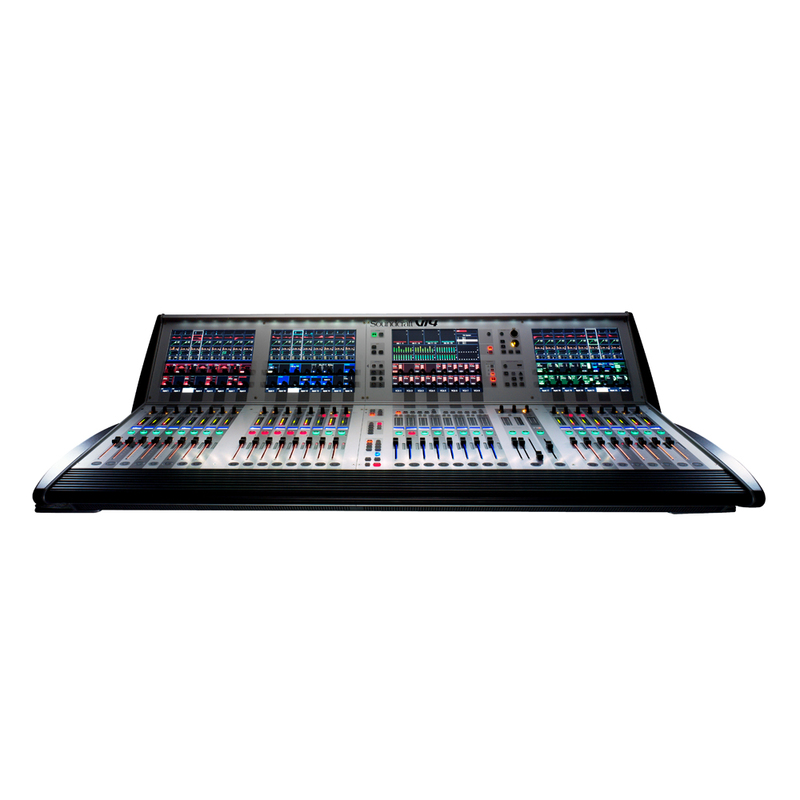 All other features of the Soundcraft Vi6, such as the highly acclaimed Vistonics™ II touch-screen user interface, Soundcraft FaderGlow™ fader function display and the unequalled audio quality are inherited by the Soundcraft Vi4. · Connection from local rack to stagebox: Standard fit: Cat5 cable, with Amphenol RJF connectors. Optional: Fibre Optical interface card (additional cost). 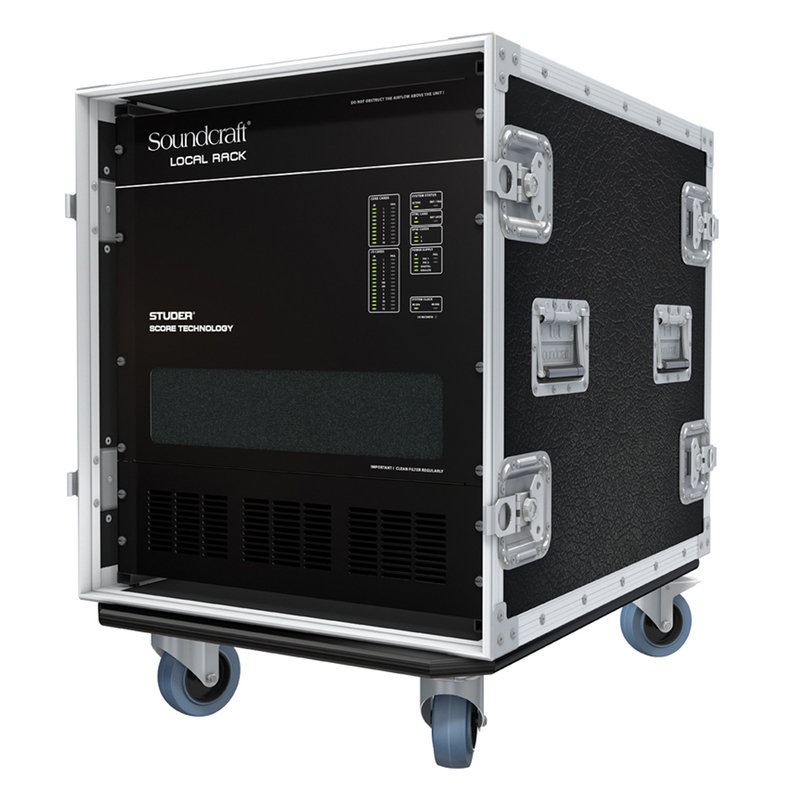 · Max distance, local rack to stagebox: 100m using Soundcraft-approved flexible reel-mounted Cat5 cable, 130m possible using Cat7 permanent installation cable. · GPIO facility: There are 16 GPIO contact closure inputs and outputs on the local rack, and 8 inputs and outputs on the stagebox. · MIDI: There is 1 MIDI In and 2 MIDI Outs on the rear of the control surface. To compliment the Soundcraft Vi4, an offline editor (Virtual Vi) is available. For more information on the Virtual Vi.